Type 1: Repositionable Adhesive-Backed 8.5 mil. Type 2: Standard 10 mil. Number of Uses: 1-3 Uses Depending on stencil detail and how it’s used. 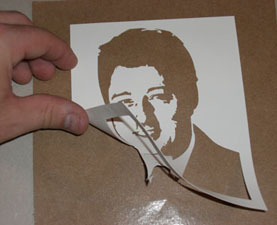 Storing the Stencil: After using the stencil, put it on the back-side of the backing you peeled it off of. 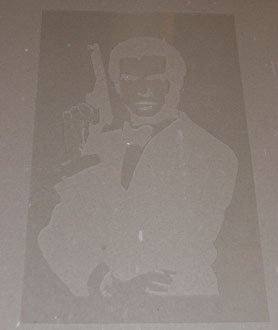 Cleaning the Stencil: This material is best to not clean because cleaning materials can affect the adhesive backing. Tips on Use: Remove Stencils from backing slowly or this material WILL tear. Use a Rolling Pin to flatten the stencil onto the surface you are stenciling. Detailed Description: Ultra-Cut II is 8.5 mil (0.0085″) clay-coated polyethylene with removable/repositionable adhesive on a heavy natural Kraft backing. Non-memory, easy forming slightly rigit with a surface coated to receive ink or paint and rapidly surface dry. Clay white surface with natural craft backing can withstand up to 180 degrees F. Conforms easily over curved surfaces. Use Inks or Paints, superior detail and crisp clean marking. Bottom Line: This type of material acts like a giant Post-It Note! This material is especially good if you need to get a good crisp edge. Especially Great for T-Shirts! Number of Uses: 10+ Uses Depending on stencil detail and how it’s used. 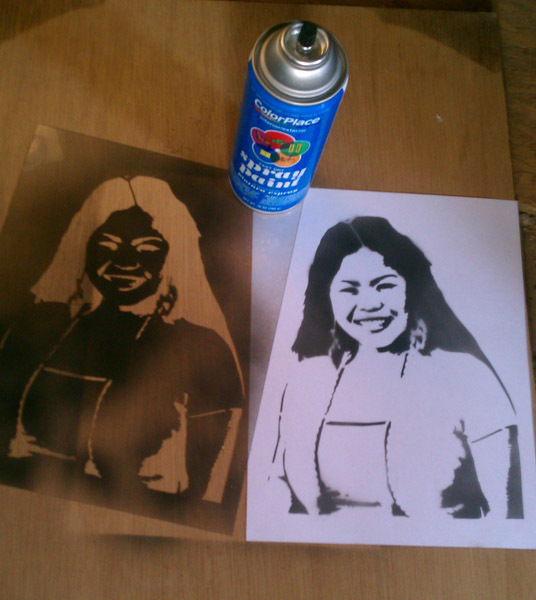 Storing Stencil: After using the stencil, put it on a flat surface. If you’ve applied re-positionable adhesive spray to the back,then place on Saran Wrap or Wax Paper to prevent the back from sticking. If the stencil came in an envelope, you can store it in the mailing envelope. Acrylic, latex and other water based paints can be cleaned with soap and warm water – Gently wipe the stencil with a soft sponge. Stubborn dried water based paints on a stencil can be soaked in warm water and the paint should then easily wipe off. Tips on Use: We recommend using A re-positionable adhesive spray on the back (found at any crafts store). 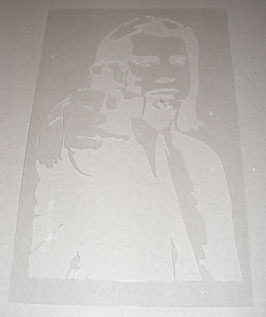 Using the adhesive spray and a rolling pin to flatten the stencil can give you a clean edge. 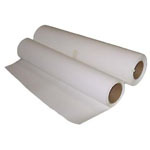 Detailed Description: SSB-Cut is a 10 mil (0.010″) polyethylene which is adhesive free. Makes a strong non-adhesive Stencil which can be cleaned and stored easily. For use with most inks, Paints and stains. Non-memory for easily conforming to curves, heavy-weight for easy attachment to frames. Bottom Line: This type of material acts like bendable plastic! 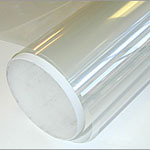 This material is good for wrapping around curved surfaces. 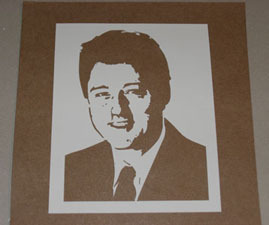 It has a long life and can provide excellent stencils with an adhesive backing sprayed on. Cleaning Stencil: Depends on the Paint Used. However, Mylar can be cleaned with anything. Detailed Description: Clear-Cut 7B is a Mylar type 7 mil. 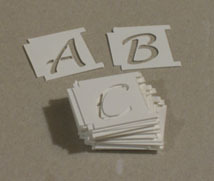 (0.007″) polyester which is adhesive free. Makes a strong, Clear non-adhesive stencil which can be cleaned and stored easily. Solvent resistant for easy cleaning with almost unlimited shelf life. 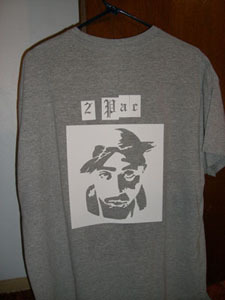 Bottom Line: This material is the best for almost all stencils uses! It is rigid and easy to clean. 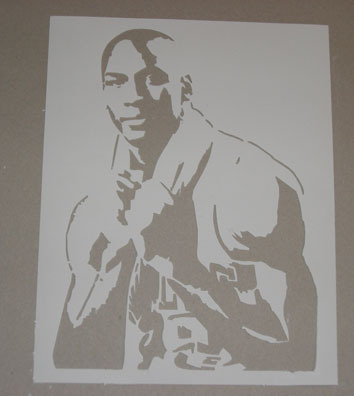 It has the longest use life and can provide excellent stencils with an adhesive backing sprayed on.